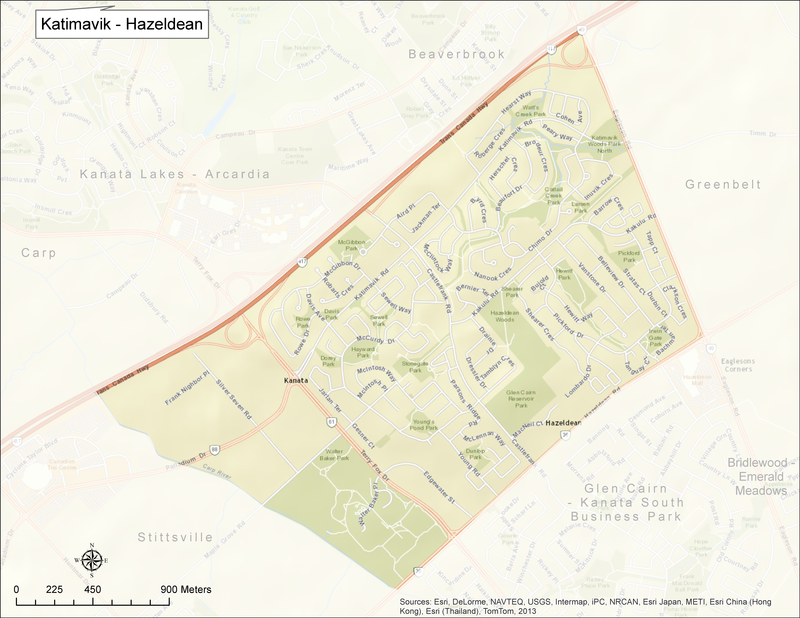 Katimavik-Hazeldean is bounded by Highway 417 on the north, Hazeldean Road on the south, Eagleson Road on the East, and Terry Fox Drive to the west. This neighbourhood was one of Kanata’s original neighbourhoods, and dates back to the 1960s. The spirit of the community started with developer Bill Connelly adding in the ‘extras’ – like buried hydro lines – at a time when other builders wouldn’t. The three urbanizing communities outside the Greenbelt (Kanata, Glen Cairn and Bridlewood) were identified as the Western Urban Community and their boundaries eventually merged as their populations increased to become the City of Kanata in 1979. Today, the Katimakik-Hazeldean neighbourhood is a great place for families and for older adults to enjoy their retirement years. There are many opportunities for community engagement: (see the Katimavik-Hazeldean Community Association).